With their vibrant logo, an untamed horse, Wrangler has always stood for all those free spirits out there. 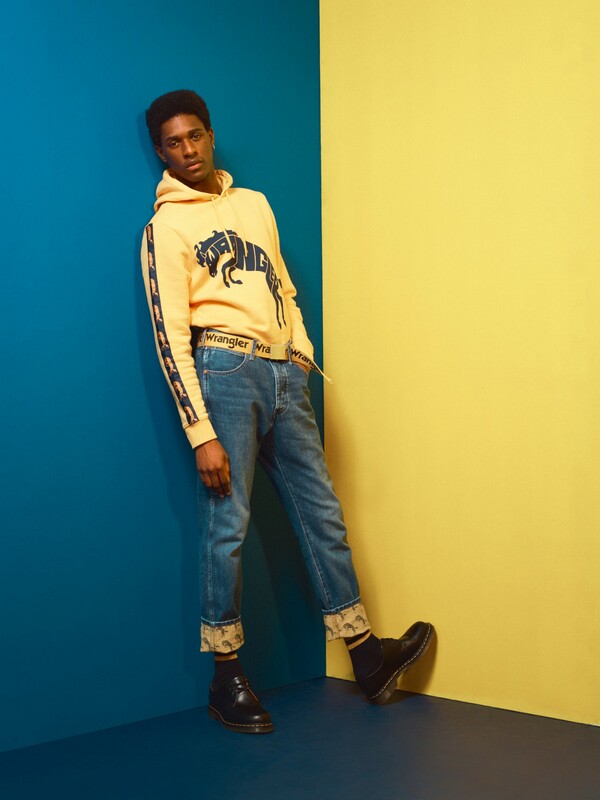 Their new Autumn/Winter 2018 ‘Blue & Yellow’ Capsule Collection takes this freedom to a new level. 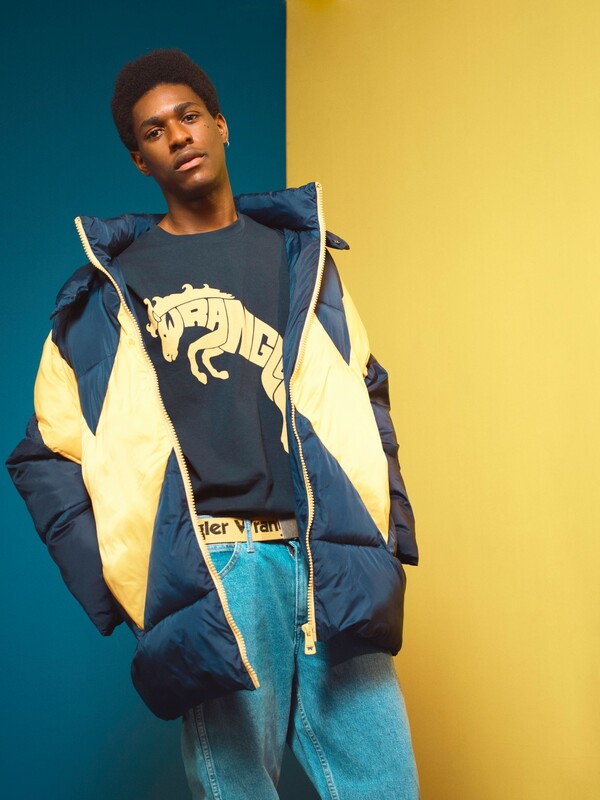 With designs inspired by archive material from the nineties, it perfectly fits recent retro trends, while hoodies, varsity and puffer jackets add a sportswear vibe expressing the mindset of a fast-paced generation. And since Wrangler has always been associated with quality denim, the fabric has its fair share of the limelight too. Long oversized denim shirts for women, jeans made out of Wrangler’s Blue Broken Twill and men’s denim jackets featuring the horse emblem on the back are all designed to put a new spin on the traditional. 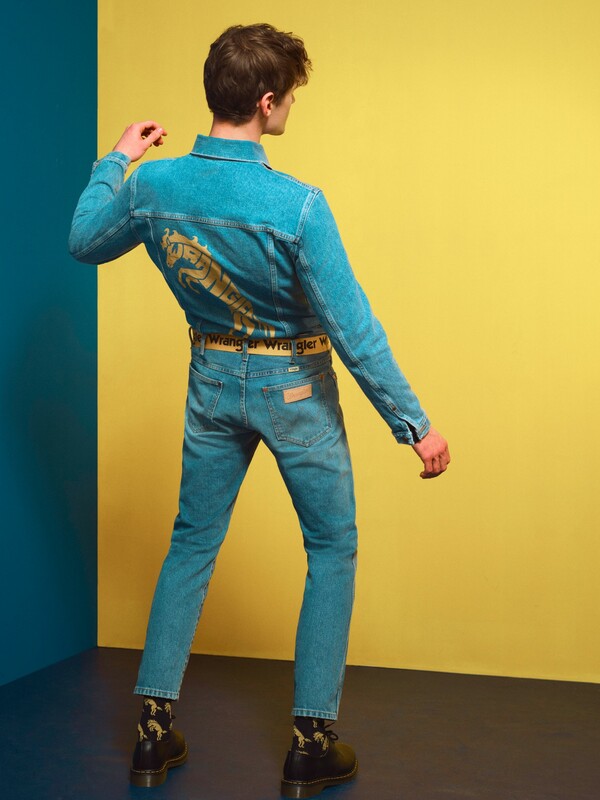 The colour scheme comes in classical blue and yellow, a colour combination that has always been a trademark of the brand, with visible yellow stitching having always been all over their denim garments. However, pairing blue and yellow also evokes a certain dynamic, a free and wild spirit, full of energy, making us ready to go on a new adventure. That’s the reason why Wrangler will introduce its new Capsule Collection at this year’s Bread & Butter by Zalando in Berlin. From the 31st of August to the 2nd of September, the garments will be shown at pop-up store 58, which can be visited via little bumper cars, all decorated with Wrangler’s Ws, the horse emblem and the number 47 – taken from their iconic jeans fit Rock 47 – to make sure the dynamic of the collection is paid its tribute. If you’re ready, head for a retro race with Wrangler at Arena Berlin this weekend or shop the collection online at Wrangler. EXCLUSIVE POLAROIDS: WEEKDAY JEANS PRESENTS "LOVE IS THE OPPOSITE OF FEAR"